Always exciting stuff – what’s new in the world of cooking and culinary gadgets – one newsletter that I actually read! 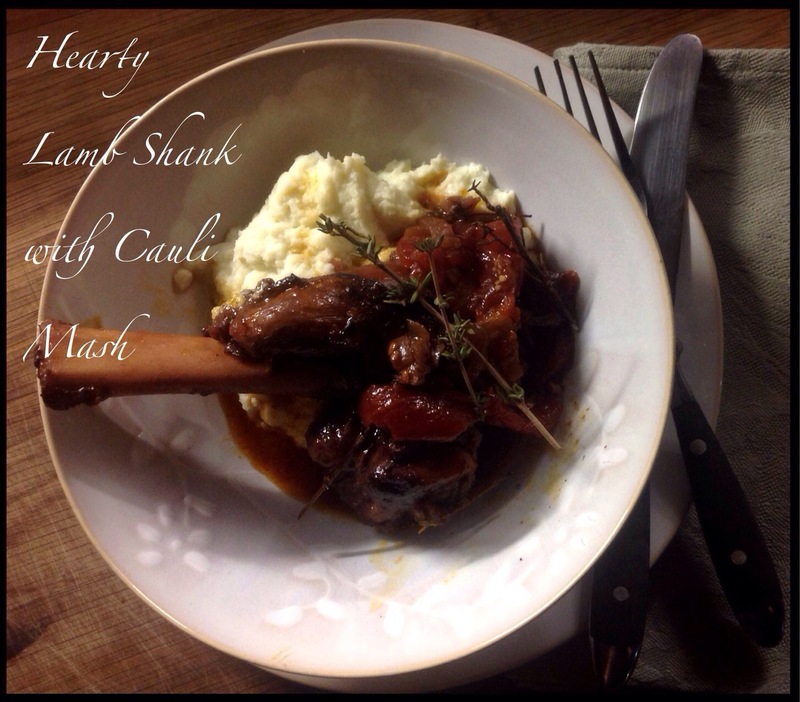 They had a feature on lamb shank and I decided, ‘that’s what I’ll make for dinner tonight’, it’s just the perfect hearty dish for a cold winter’s evening. I made mine with cauli mash, so it’s totally Banting-approved! You do need enough time for this one – so get cracking NOW – it needs to cook for at least 2.5-3hrs. Use a medium-sized oven casserole that will snugly fit all 4 shanks. 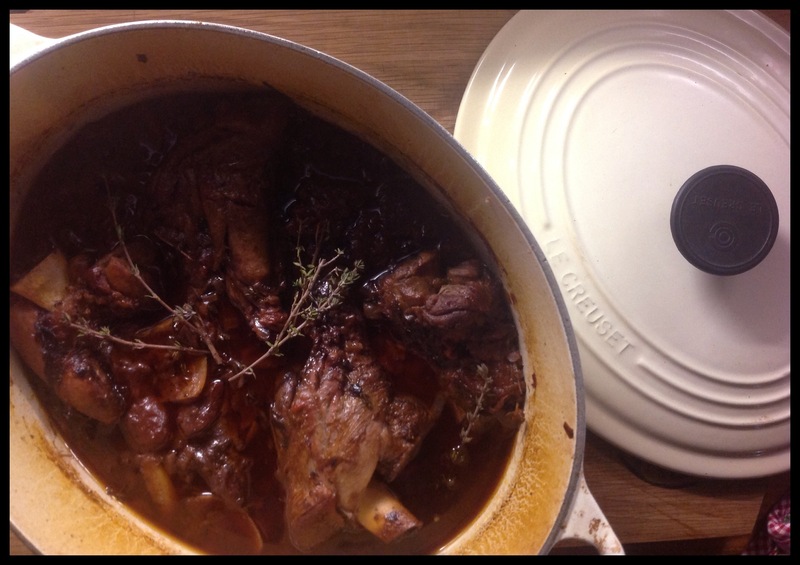 Season the lamb shanks with salt & pepper. Heat enough olive oil and brown the meat on all sides and set aside. Add a bit more olive oil to the casserole and sauté the onions until they’re nice and soft. Add the garlic, the thyme and lemon peel and cook for about another minute. Add the tomatoes and just give them a rough chop in the pot, then add the wine. Steam or boil the cauliflower until tender, then purée with a stick blender, season with salt & pepper, add the butter and crème fraîche and blend until smooth. Voilà!